What is an Initial Exchange Offering (IEO)? - The Most Comprehensive Guide Ever - Coinfomania Coinfomania: Where blockchain and cryptos live. Initial Exchange Offerings (IEOs) are the latest model of raising funds for crypto projects. Over the years, blockchain projects were able to raise funds through a method called Initial Coin Offering (ICO). The first success ICO or token sale (as it is sometimes called) in the crypto industry was held in 2013 by a project dubbed Mastercoin, a second generation protocol built on the bitcoin blockchain. The following year, Ethereum also launched its own token sale, and it raised 3,700BTC (approx $2.3 million at that time) within the first 12 hours of its ICO. Since then, hundreds of projects have raised billions of dollars to fund their projects. However, it got to a point when almost everyone wanted to launch a token sale just to become rich by scamming unsuspecting investors. It really did not take much effort for anyone to start their own ICO. All they needed to do was to set up a team, build an attractive website, create social accounts, hire a freelance writer to create a compelling whitepaper, and pay some marketing experts for promotions and PRs. Sometimes, if the project team wants to make their project look more legit, they pay celebrities (or use their photos) for endorsement. Once they get enough investors to participate in the ICO, they shut down the website, and they are gone FOREVER. Although authorities caught some of them in the past, a good number of them remain untraceable. As ICO scams continue to grow, crypto and blockchain investors started losing trust in this method of fundraising, and they now look twice and tread cautiously before investing in any project. Despite the increased rate of fraudulent ICOs, some good projects need funding, and they found it difficult to raise funds until the arrival of Initial Exchange Offerings (IEOs), which brings us to the business of the day! 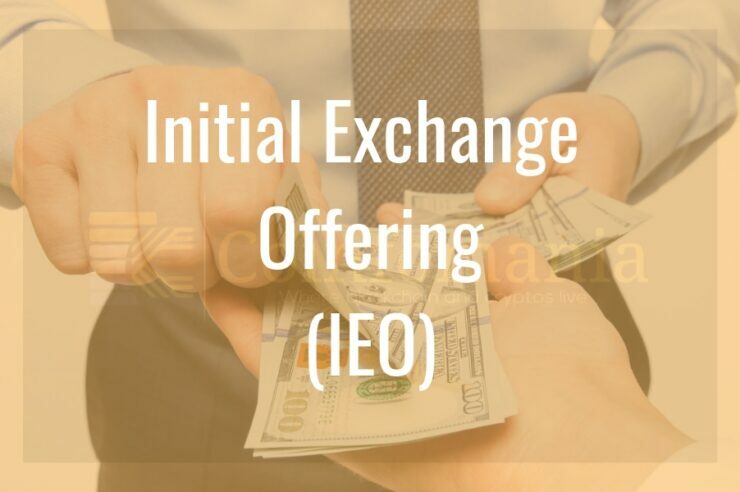 Initial Exchange Offering (IEO) works on a cryptocurrency exchange or a group of exchanges, depending on how it is planned. The exchange(s) creates a platform where developers of blockchain projects can mint and sell their project’s tokens to crypto enthusiasts and investors. Before the token sale is conducted on the exchange IEO platform, both the exchange and the project team will reach an agreement. The exchange will do a thorough review of the project using certain conditions to ensure that the project is worthy and genuine. Once the exchange accepts the project, it will then announce a date for the token sale including a fixed price per token. Those who want to participate in the IEO will then create accounts on the exchange platform and fund their wallet to buy the token. If the exchange has its own native token, then contributors are expected to purchase units of the exchange’s token before they can participate in the Initial Exchange Offering. A perfect example is the Binance Launchpad created by Binance exchange. According to reports earlier this year, one of the first projects that featured on the Binance launchpad raised around $5.5 million in 22 seconds. As already explained, the name ICO has been dragged through the mud by fraudulent projects. IEO on the order hand, are organized on reputable exchanges. Taking Binance, again, for example, the exchange has built so much trust in the crypto community since its launch in 2017. In fact, Bittrex, another exchange that intended to conduct an IEO for RAID project, canceled the token sales a day to the scheduled date. This happened after Bittrex discovered that the RAID team had no ongoing partnership with OP.GG, an e-gaming data analytics provider with a large user base, as they claimed. This act from Bittrex was a clear definition of choosing users safety over personal gains. Click here to read the full story about Bittrex and RAID. Ideally, no exchange would want to help a scam project raise funds (at least not intentionally) as it could have a devastating effect on the reputation of the exchange. Initial Exchange Offering is quite easier than participating in ICOs. All you do to partake in IEOs is to create an account on the exchange that is supporting the token sales, fund your wallet, and purchase the token when it goes live. This benefit is for the token issuer. In the past, for ICO projects to reach users, it needs extensive marketing, which can be quite expensive. But since IEO are conducted on exchanges with an extensive user base, the project team will be cutting down marketing costs while reaching more users. Since the Initial Exchange Offering is being organized on crypto exchange platforms, it makes sense that the token issuer would pay the exchange for its services. And this can be very expensive. Fees: it all depends on the exchange requirements. An exchange could request payment in the form of the token being sold or a listing fee in bitcoin or ethereum. Exposure: Since the exchange will be working closely with the marketing department of the project to sell the token, the exchange will use that opportunity to sell its services to the public. More customer and increased volumes: Initial Exchange Offering requires investors to sign up on the exchange before they can partake in the token sale. So the exchange will record an increase in new user registrations as well as trading volumes because there will be new deposits from participants. Look for an IEO token sale: This should be the first step because if there is not IEO to be issued, then you can’t participate. This should be pretty easy for you considering that most crypto projects have abandoned the old ICO model. Research: Whether it is an ICO, IEO, or any investment, it is important always to do proper research about the project. In this case, you need to check the project information, the project team, which exchange(s) will be supporting the Initial Exchange Offering, and if you can sign up on the exchange without any limitations. Also, check the cryptocurrency that will be accepted for the token sale. Some exchanges have strict KYC policy so you would want to check that too. Register with the exchange: Once you are satisfied with your research, go on and create an account with the crypto exchange (that is if you don’t already have an existing account on the platform). Funding your wallet: After sign up, you are expected to fund your wallet with the cryptocurrency that will be accepted for the IEO. Exchanges like Binance use the Binance Coin (BNB) for its IEO. Wait, then buy the token: Once you have completed all the above steps, you have to wait for the scheduled date of the Initial Exchange Offering and participate when it starts by purchasing the desired token. The Initial Exchange Offering (IEO) model for crowdfunding a crypto project has great potentials and would help a lot of genuine token issuers raise funds for their project. However, for IEO to excel and not fail like the ICO model, both the project team and the exchanges must diligently play their roles. Lastly, while the IEO looks more credible than the ICO model, it is important to take caution before investing in any token sale. Do not follow the decisions of exchanges to support a project too blindly. Always DYOR.